I took my family to the GA Aquarium today, but on our way, we were more than surprised to see all kinds of crazy celebrations going on over at the World of Coke, and amongst other things, the entire Coke HQ building covered on a huge white sheet! We had no idea what was going on. Later that night, we found out it was something amazing. Congratulations Coka-Cola on a successful 125 years! I can only WISH I could be this awesome. 😛 …. created by some friends/ classmates of mine for their senior design project … SO AMAZING! The most amazing thing happened today. … well, I guess for this story to really make sense, I need to go back a few years. 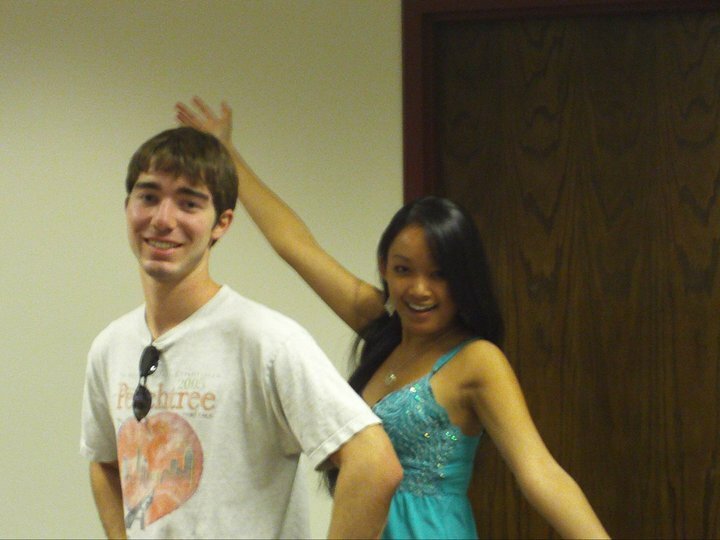 …..
Back when I was younger (:P jk, I’m not that old!) 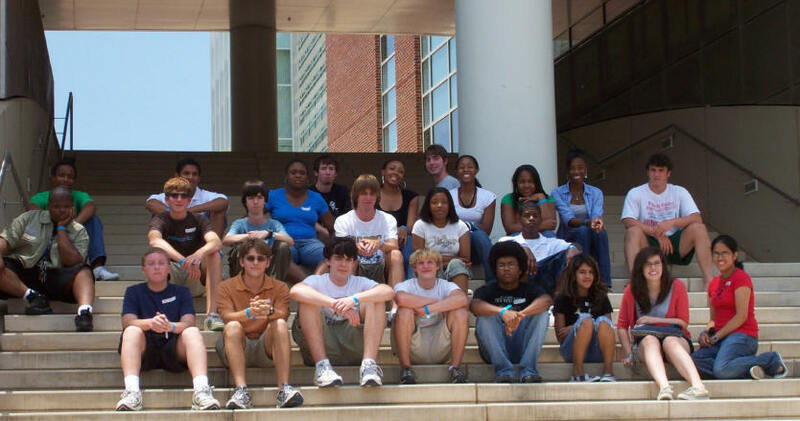 … 2008-2009, I was a student instructor and programs assistant for the Georgia Tech Institute for Computer Education Summer Camps, led by Barb Ericson and her team in the College of Computing. 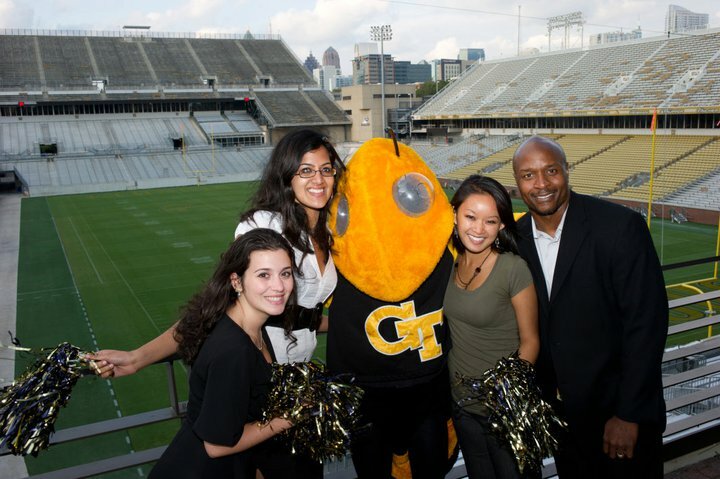 Their website: http://coweb.cc.gatech.edu/ice-gt/1080. 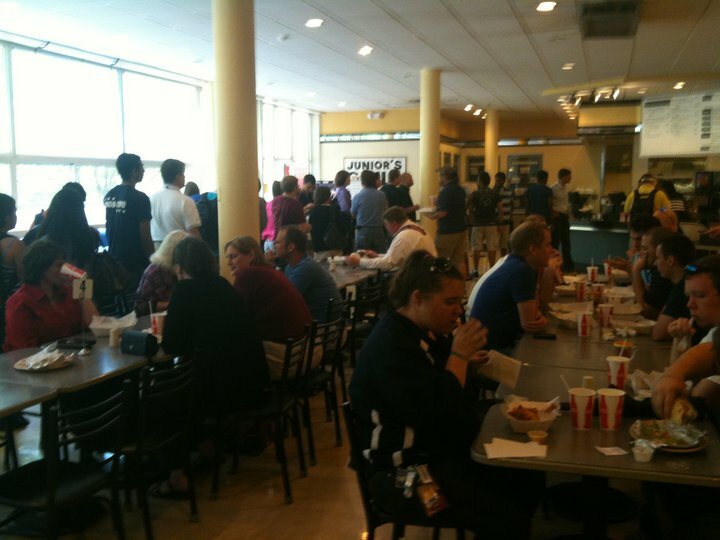 The Institue for Computing Education (ICE) has been offering summer computing camps at Georgia Tech since 2004. Each camp is one week long with at least one recreational activity during the week and a parent show on the last day. The kids who participate range from 5th to 12th grade (kids attend the camps by age groups; the older the kids, the more advanced the materials). 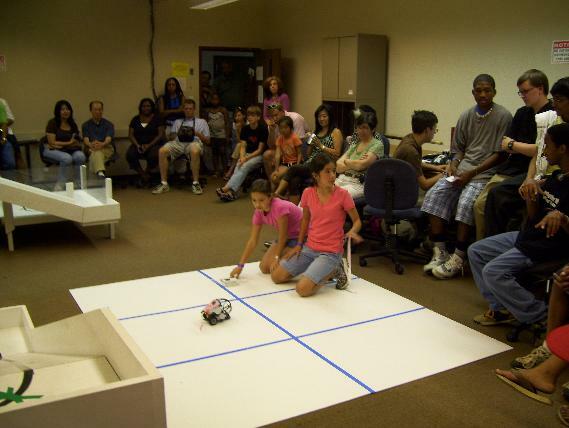 They do a variety of activities with the students including CS Unplugged, PicoCrickets, Scratch, Alice, LEGO NXT robots, IPRE robots, and Media Computation. 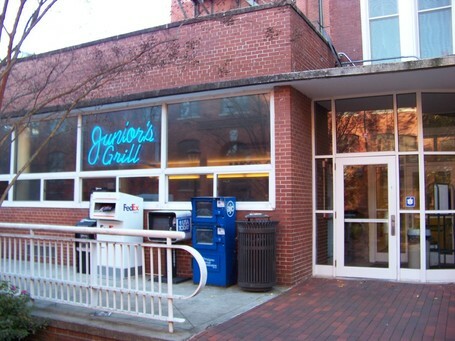 As an aspiring young college student, this was definitely one of my favorite “real” jobs. I got hang out with the most amazing and talented kids, see some of the craziest and most innovative projects (especially when you consider they were done by young kids! ), and make a difference by bringing computer science to younger generations. In any case, fast forward. Today, I was walking around the library looking for an outlet for my computer, and a girl stops me to ask if my name was Candis. I had no idea who she was at the time, but was soon thrilled to find out that she was one of the girls in the summer camps from three years ago! I can’t believe she recognized me!! … from three years ago!!!! She is now a freshman at Georgia Tech and I honestly couldn’t be happier for her. I guess it was just one of those moments where you realize that some of the things you may have done really did impact and make a difference in the lives of the people around you. This was during the end-of-program parent show where the kids got to demo various project they had worked on throughout the camp. The one shown here is from the Lego NXT robot dance competition. Kids built the robots, programed dance routines, and then dressed up their robots to play the part. Thank you so much Tommy et all for all the amazingness. We will miss you. This video was the midterm video assignment created for my Video Production class taught by Professor Blumenthal. The movie could be about anything (only restriction was for it to be around 5 minutes long), but every team member had to make their own edit, and therefore the assignment focused on how we could all take very difference perspectives during editing. For this version of the project, I was the editor, the cameraman, and an actress (new girl). ^_^ These make me so happy. Whitney Beth at emphasis photography is TRUEly gifted and awesome. Also, feel free to check out her blog at http://www.emphasisphotographyblog.com/. The National Center for Women in Technology (www.NCWIT.org) launched a national program called “Pacesetters” for the mission of accelerating women’s participation in computing. 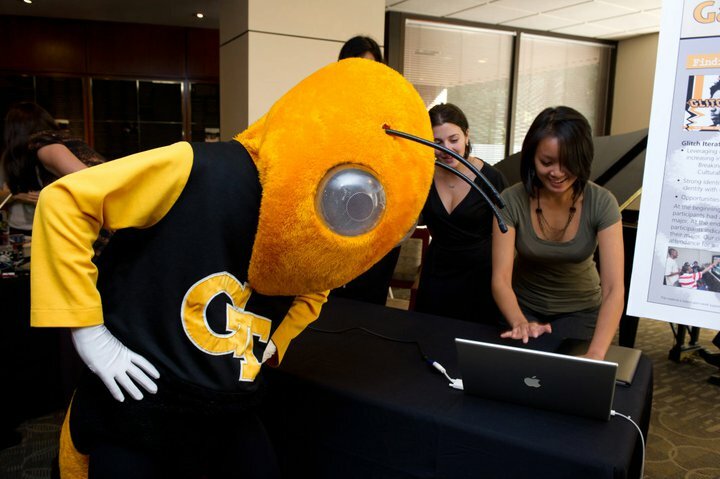 Georgia Tech’s College of Computing is a member of NCWIT and a Pacesetter organization. The reception was sponsored by the Office of Outreach, Enrollment and Community in the Georgia Tech’s College of Computing. I was one of three student organization leaders representing the various organizations of the OEC, talking to and mingling amongst the distinguished guests attending the event. I had no idea Buzz was going to do that, lol! All photos courtesy of Georgia Tech.